It’s not news that the U.S.-China trade war isn’t as much about trade as it is about innovation. 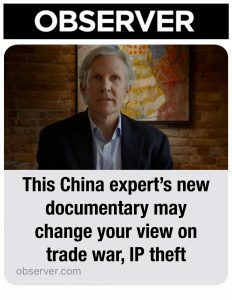 As President Donald Trump has said, his serial tariffs on tens of billions of dollars worth of Chinese imports were, in part, a form of punishment for China’s theft of American intellectual property (IP). According to an estimate by the U.S. Trade Representative—the office that makes policy recommendations to the president—every year, China’s infringement of American IP assets costs the U.S. economy between $225 billion and $600 billion. A few recent examples: In August, a Chinese-American engineer at GE Power was charged with trading company secrets with Beijing for business opportunities in China; a month earlier, a former Apple engineer of Chinese origin was arrested by U.S. authorities at San Jose International Airport just before boarding a flight to China and was charged with stealing proprietary information related to Apple’s self-driving car project. But even though the Chinese government has taken actions against such practices, promising to improve protection of IP rights for foreign companies, not everyone thinks it’s an unbearable crime. Bill Mundell, a former UCLA economics professor-turned-filmmaker who has decades of experience doing business with China, says what China has done would make more sense if Americans took an honest look at its own history and consider the bigger picture. “Look, what I would say to the Chinese people would be: Take the high road. There is no shame in having broken some rules in the cause of feeding your people, in the cause of lifting 600 million people out of extreme poverty,” Mundell told Observer in an interview this month. “Every single country in the world has done that, including the U.S.,” he explained. “The biggest violator of IP assets in the last century was America from Europe, so everybody does that. I’m not excusing it, but it’s part of the development state. 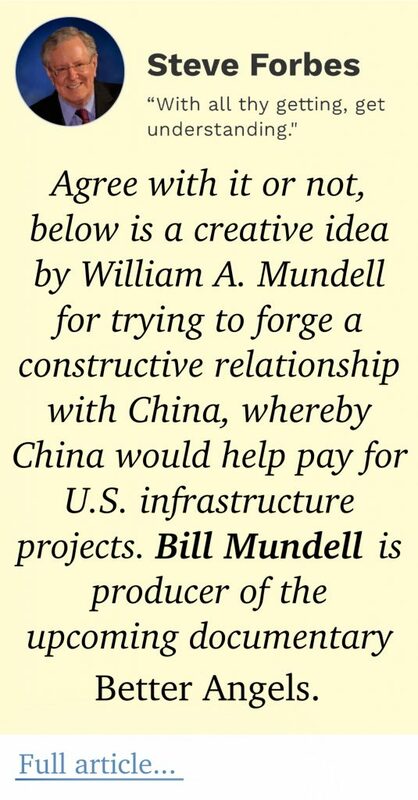 Mundell has contextualized this point of view even further in his latest documentary about U.S.-China relations, Better Angels, directed by Academy Award–winning director Malcolm Clarke. 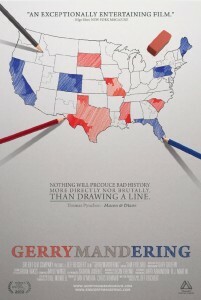 Five years in the making, the 90-minute film features interviews with dozens of people, ranging from blue-collar workers to business moguls and former statesmen, and delves into previously underreported issues about China, such as China’s growing number of expatriate workers, Chinese state-owned firms’ aggressive investment projects in the U.S. and average Americans working in China. Mundell said he hopes the film, set to release in both China and the U.S. this fall, can help break some myths that Americans and the Chinese have about each other. For example, one segment of the documentary features a Chinese engineer named Bao Wang Li who is on a multi-year expatriate assignment in Ethiopia building a bridge. Bao’s wife and young child live in a rural village in China’s Yunnan Province. Once a week, Bao hops on the phone with his wife despite sporadic mobile signals at his work site. When signals are strong, they might even catch a few minutes of video call. There are over 60 million children in China, like Bao’s child, who are growing up without a father or mother (or both) in remote villages as their parents have migrated to cities or even overseas for work. “Sixty million children is 20 percent of the child population of China. I would argue that’s a sociological phenomenon the likes of which the world has never seen,” Mundell said.